When I export A7S II XAVC S UHD footage via the TentacleSync software using ‘Pass Through Original’ I get a really weird problem in Premiere CC. The files appear without a problem in Finder & Quicktime. But when I import them in Premiere I only see green frames and the fps are all different. The files that didn’t get synced are ok and some other files are also ok (very random). 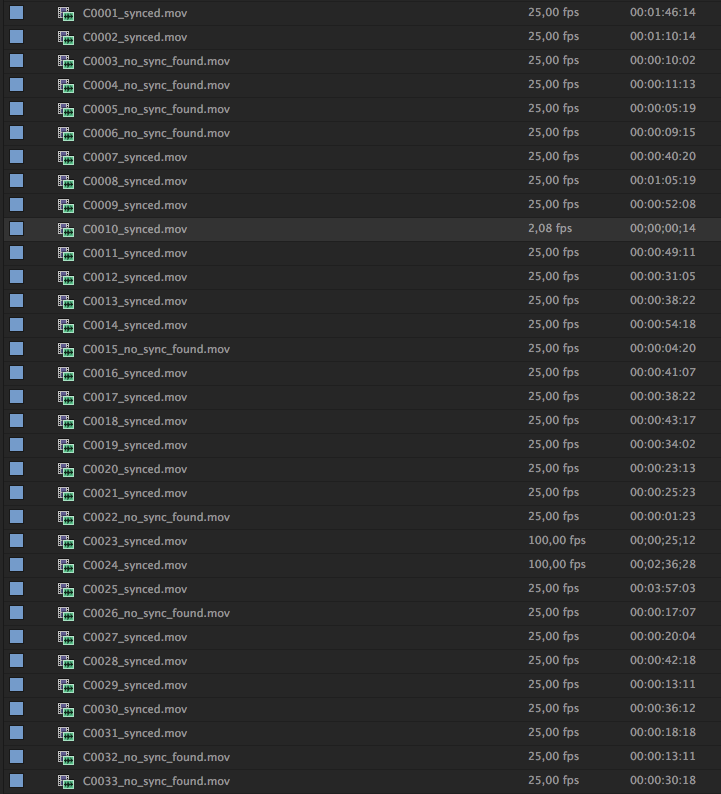 When I export to ProRes I don’t have this problem. I’ve tried it multiple times with different files. I’m running on the latest version of OS X & Premiere on a maxed out iMac. The problem only occurs on MovieExport with PassTrough when the audio of the synchronized clip starts later than the corresponding video. The exported clip is technically ok, but Premiere doesn’t like it. We will address this issue in the next update. The trick worked well with only one exception. 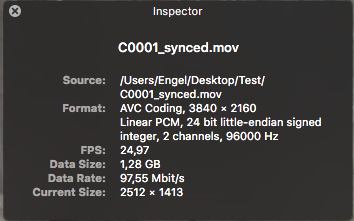 C0010 only has a duration of 14 frames so it looks like the problem still occurs with really short clips. But I wasn’t going to use that clip so it’s not a problem for me :). Have you found a solution for clip C0010?